DAYTONA BEACH, Fla. (October 26, 2015) – The Cessna Skinner Round-Up Golf Tournament presented by Halifax Health is proud to announce that all individual player slots have been sold out for the October 29 golf tournament at Spruce Creek Country Club in Port Orange, Fla. Benefitting the Council on Aging of Volusia County, more than 150 players have registered for the tournament, which will also feature several celebrities from the sports and entertainment industries. In its seventh year, the Skinner Round-Up has raised more than $750,000 for charity organizations within Volusia County, Fla. This year’s event will solely benefit the Council on Aging of Volusia County, an organization that promotes healthy, independent living through caring and compassionate services for the area’s seniors. The Council on Aging of Volusia County serves thousands of clients every year through meals programs, non-medical health services and senior activities. In 2015, a partnership with Hope For The Warriors has also allowed the various individuals and corporations to purchase player registrations and donate the entries to local service members. As a result more than 15 service members are expected to participate in the 18-hole golf tournament. 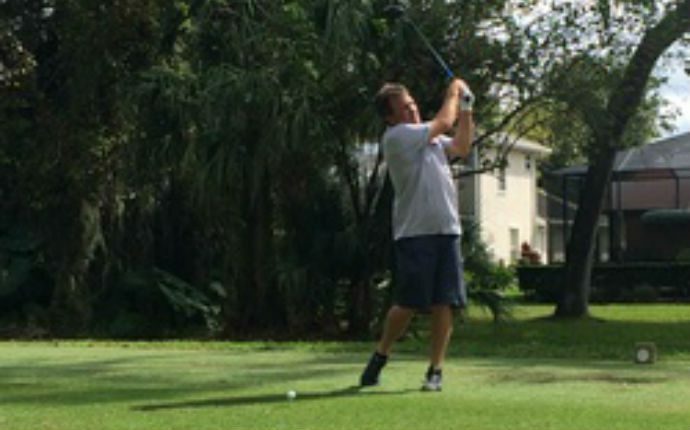 Golfers in the Skinner Round-Up Golf Tournament presented by Halifax Health will participate in an 18-hole scramble at the famed Spruce Creek Country Club. Registration for the event will open at 10 a.m. ET on Thursday, October 29, followed by a shotgun start at 11 a.m. ET. After an afternoon of play on the Bill Amick-designed course, the evening will conclude with an awards ceremony. While on course, players will also have the opportunity to enjoy several themed-holes and additional games and activities throughout the tournament, which will be sponsored by local businesses within Volusia County. While the Skinner Round-Up Golf Tournament presented by Halifax Health has reached a sell out, tickets still remain for the Cessna Skinner Round-Up Hoedown Bash at Daytona International Speedway. The Hoedown Bash will be a party in the infield at one of America’s most iconic speedways on Wednesday, October 28. The event will feature the Hard Rock Seminole Concert by Nashville Blues Doctor Stacy Mitchhart, games for all ages, the largest silent auction in Volusia County, and an all-you-can-eat Taste of Daytona event. Tickets for the Hoedown Bash can be pre-purchased online, or on the day of the event at Daytona International Speedway’s Williamson Blvd. entrance. The Cessna Skinner Round-Up Hoedown Bash begins at 7 p.m. ET on Wednesday, October 28, and tickets are just $10 for adults while children ages 12 and under are admitted free.